Use Steam Heater to heat towels, massage stones, herbal compresses, etc.Ready in 15 minutesDigital t..
Lamp StandCircular metal base on 5 casters 69 cm (27 in) high..
Tempered glass and metal frame. One sliding shelf for easy access.H 85 cm (33")W 53 cm (21")D 38 cm .. Single drawer, narrow. Heat 60° to 70° C Capacity 24 towels approx. 45 W x 2..
Large capacity & storage area Size – 14" long, 9 1⁄2" high x 8" deep.. 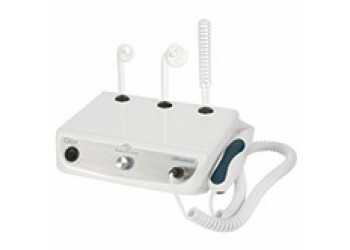 Salon SteamerWith ozone and twist arm, dripless nozzle, glass water jar. Easy to fill and clean, adj..
Clear Soft White LightProtective lens cover, table clamp included. No bulb changes required.2 light .. 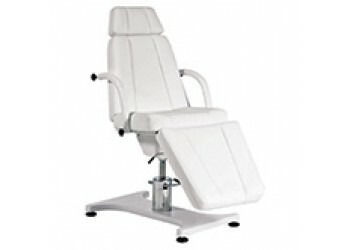 Comfortable, sturdy, adjustable height – 19" - 27"Large platform holds most footbaths Adjustable foo.. Features contoured surfaces for ultimate client comfort. Sturdy construction – contoured bottom conf.. Heating Chamber for PerfectSense Paraffin TreatmentsCopper or White..
-Ready to use in 7 minutes-20-minute timer with audible signal-Versatile positioning thanks to three..
For disincrustation and ionization. Digital display and anti-shock system. Includes disincrustator, ..